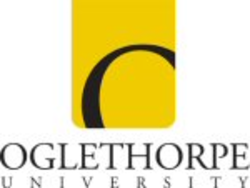 Founded in 1835, Atlanta's Oglethorpe University enrolls over 1,000 students representing 34 states and 28 countries. We are a member of the Annapolis Group, an organization of America's most selective liberal arts institutions. OU is consistently listed among the best colleges in the Princeton Review and Forbes and has been named to the President's Higher Education Community Service Honor Roll since 2006.